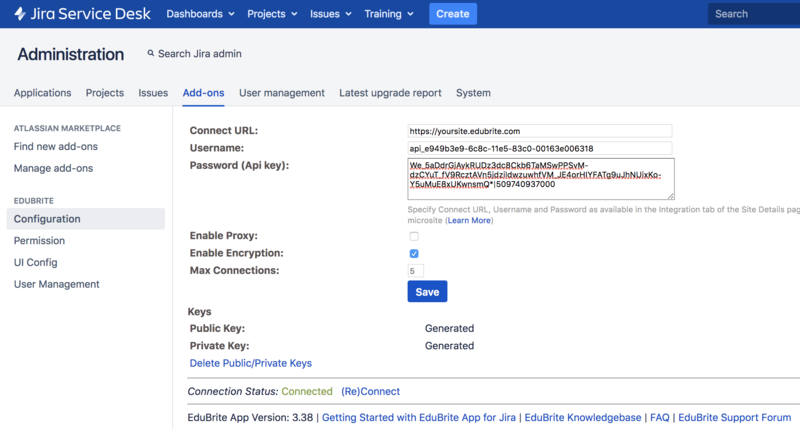 ​EduBrite's app for Jira Service Desk allows you to connect Jira with your EduBrite LMS microsite. 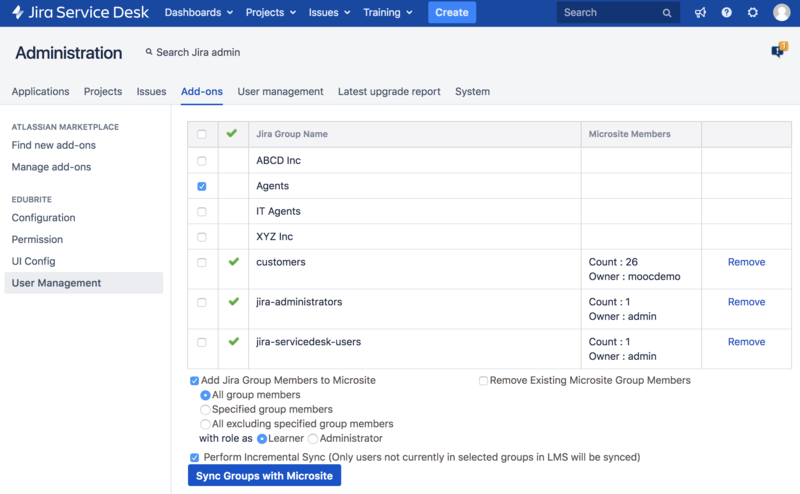 EduBrite app for Jira Service Desk (server) is a paid via Atlassian app. App price is 25% of the Jira price. Note that you will have to pay for the EduBrite LMS separately which you will connect via the app. Each user who accesses the EduBrite app, will have their account created in the LMS, if auto provisioning setting is enabled in LMS. If auto provisioning is not enabled, then users must be setup using the User Management screen or by options available in LMS. 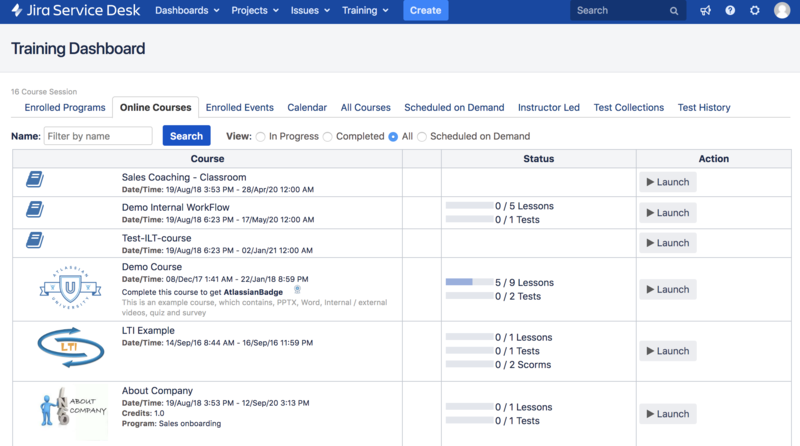 As the customer starts searching for an existing solution by entering some text, EduBrite app will search for matching trainings (course sessions, courses and events) in the LMS and provide these suggestions. Depending on the properties of the event, course session and course and user's enrollment status and permission, they will be allowed to self enroll and launch these trainings. For Instructor led classes, only enrollment is done and there is no launch option. Customers can access the full training dashboard from the top level menu that shows user's picture. On the issue details page, the EduBrite app will automatically show last few completed trainings by the issue's reporter. There will also be a link to open the full training history of the reporter. These options are useful for the Agents who are working on resolving the issue. Agents can also perform a manual search for Training and recommend to the customer via comments. 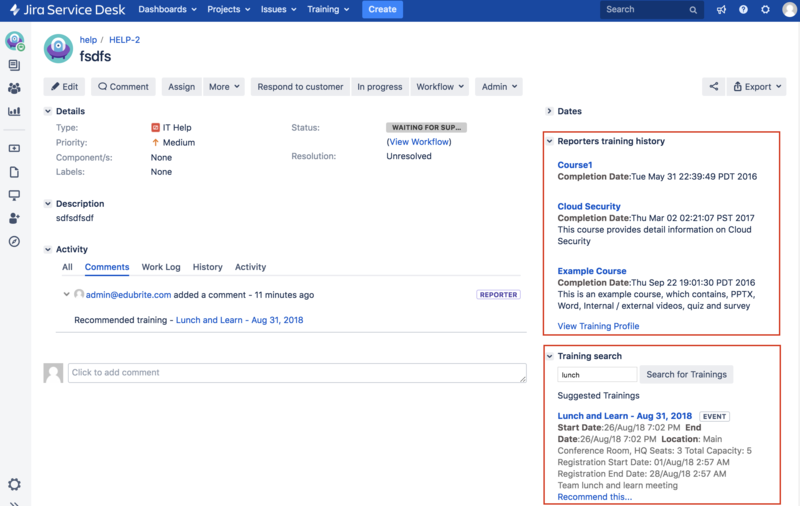 Training dashboard provides customers the ability to take courses from within Jira Service Desk application.